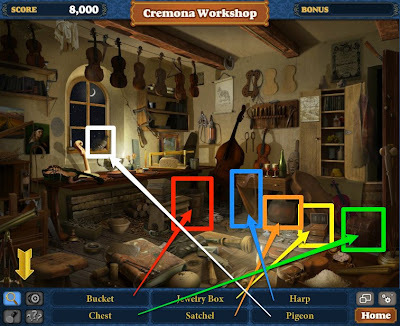 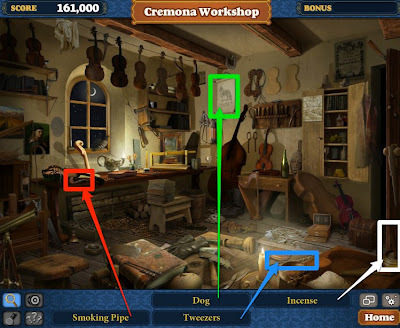 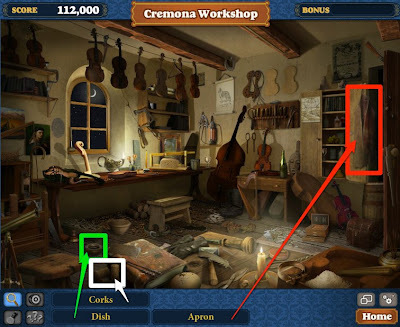 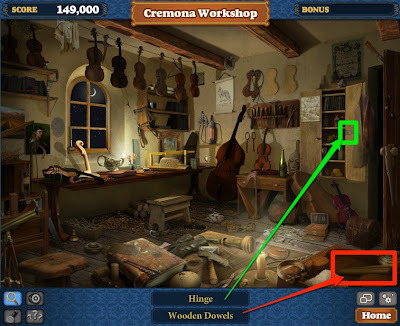 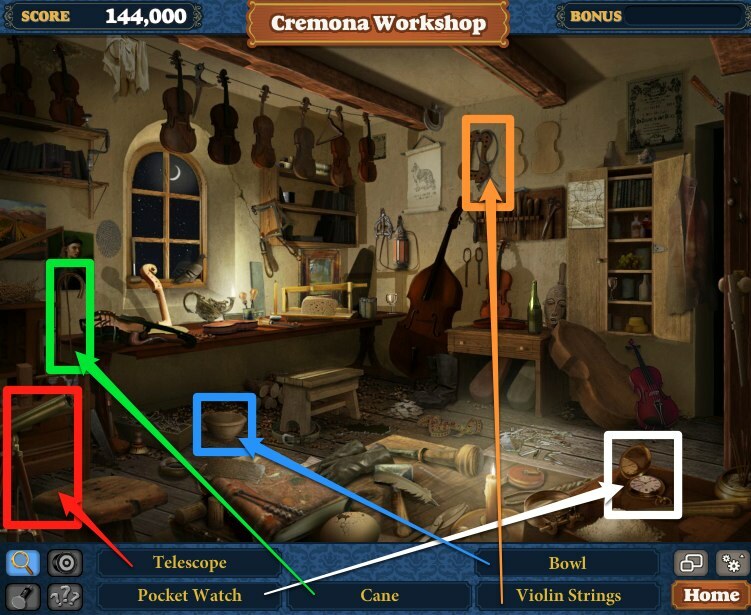 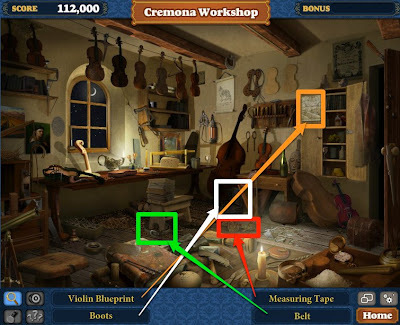 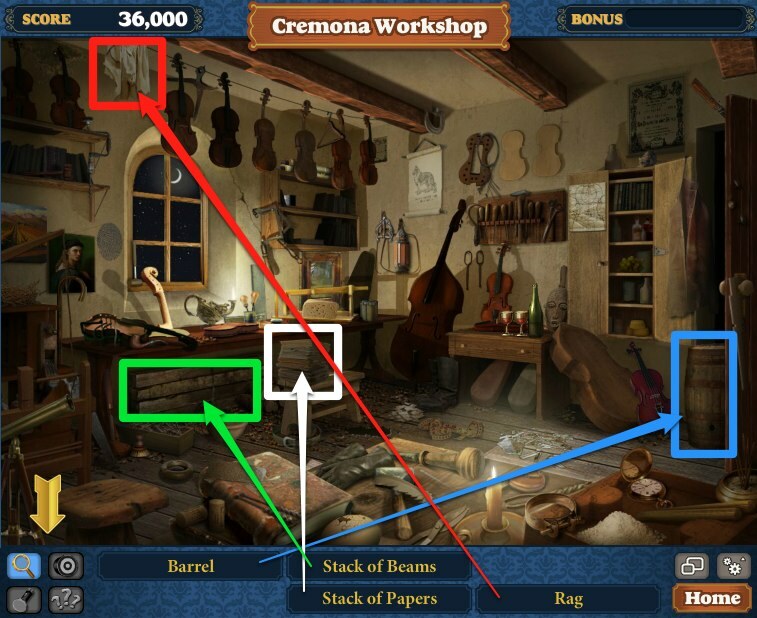 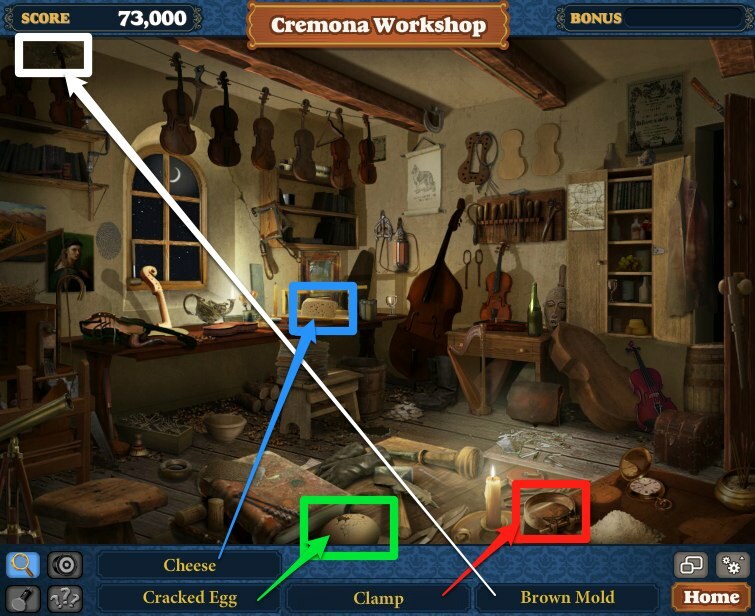 Here are so many items in Cremona Workshop of Hidden Chronicles. We often against some strange items that we can not find them quickly. 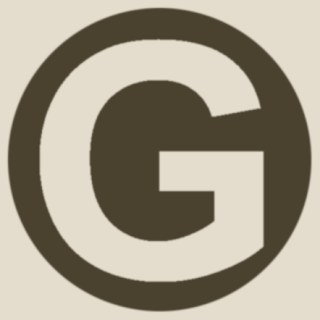 Check this guide, they will be easy! 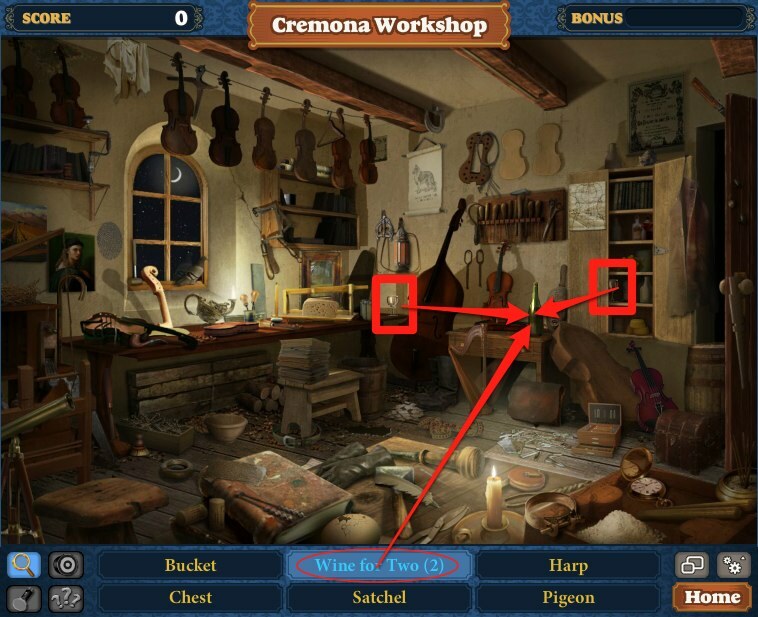 Making our way deeper into Zynga's Hidden Chronicles on Facebook, we can take a look at the second artifact in the Library chapter - the Italian Violin. 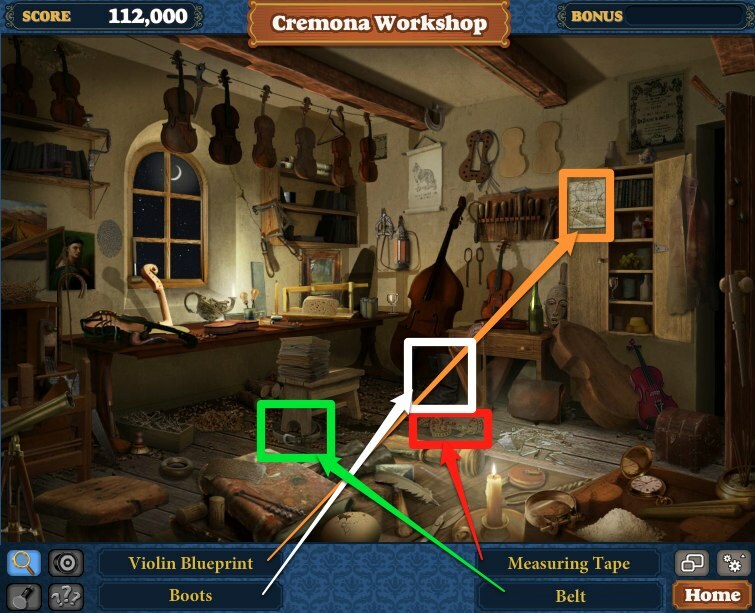 This Violin has five scenes, one of which is premium, and the first scene is called Cremona Workshop. 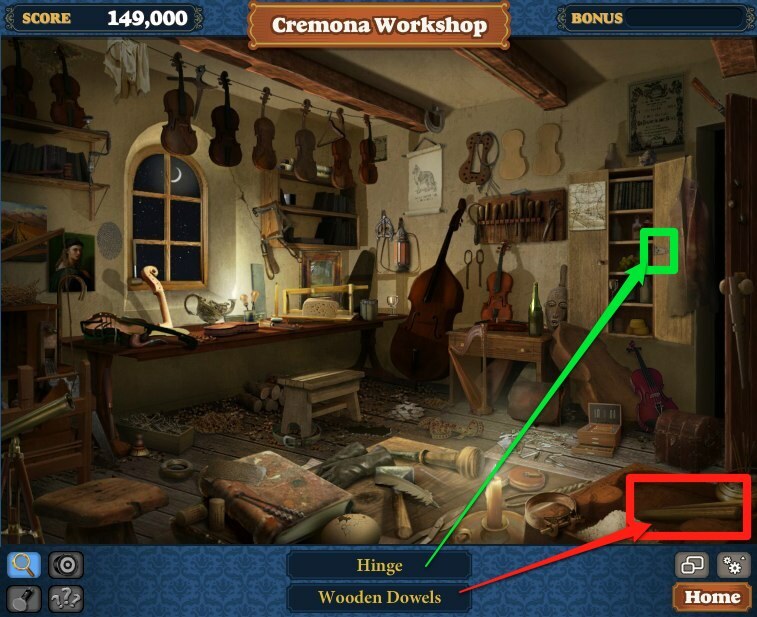 You'll need eight energy points each time you wish to play it, but you can play the scene an infinite number of times to earn mastery.